This is my latest post (third overall) for the Summer Reading Classic Film Book Challenge hosted by Out of the Past. 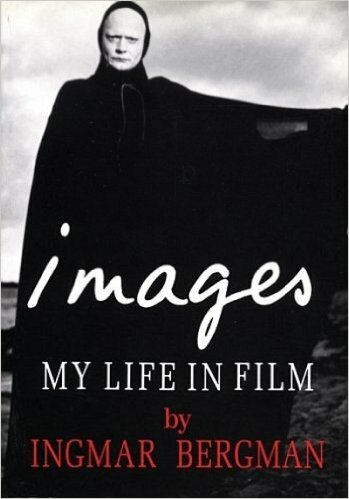 This book fits in as a biographical/filmographic account, as Bergman speaks of the films he made from 1946 to around 1986. 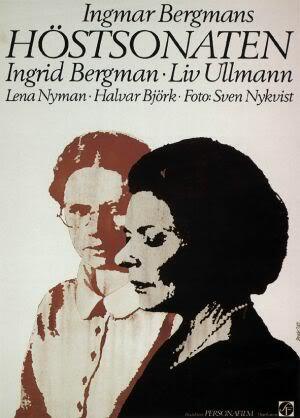 In my second post in this series I chronicled my history with the films of Bergman. With that in mind I was very glad that this is the autobiographical Bergman account I chose to read first rather than The Magic Lantern. When making that decision it was based solely on the fact that Images was published at a later date and therefore would include a few more works. As it turned out, that was a good thought on a few accounts. 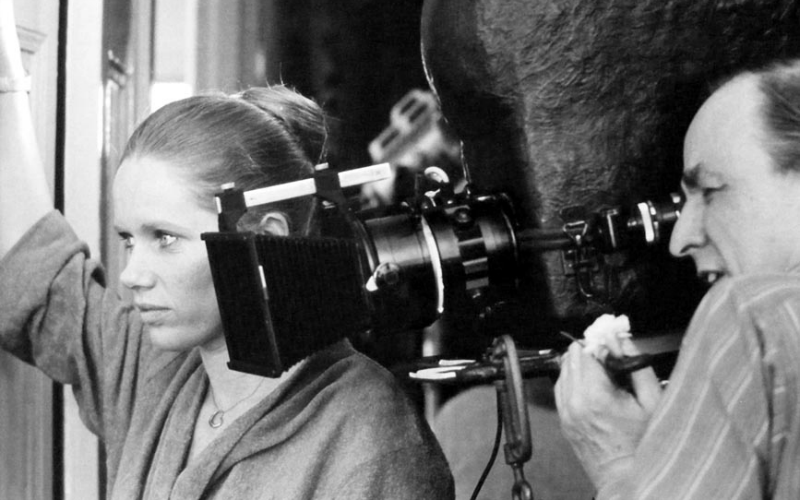 One of which was the fact that with further hindsight, and reviewing of his own work, Bergman was able to have more distance between the present day (of when this was written) and production. Therefore, his mind changed for the better, for worse, or he had more clarity on why certain things worked or didn’t work. Furthermore, there were citations from The Magic Lantern used as jumping off points. This may be tiresome for one who read that book but was helpful here. Clearly the most illuminating to me were the excerpts of texts from his workbooks where he’s literally dissecting his own process from abstract notes you can either clearly see how the film developed, or are let marveling at the genius that he was able to to take something rather obfuscated and turn it into concrete emotion and a visual reality that exudes the intended visceral reactions and ideas. The very formation of this account is one that’s fascinating. 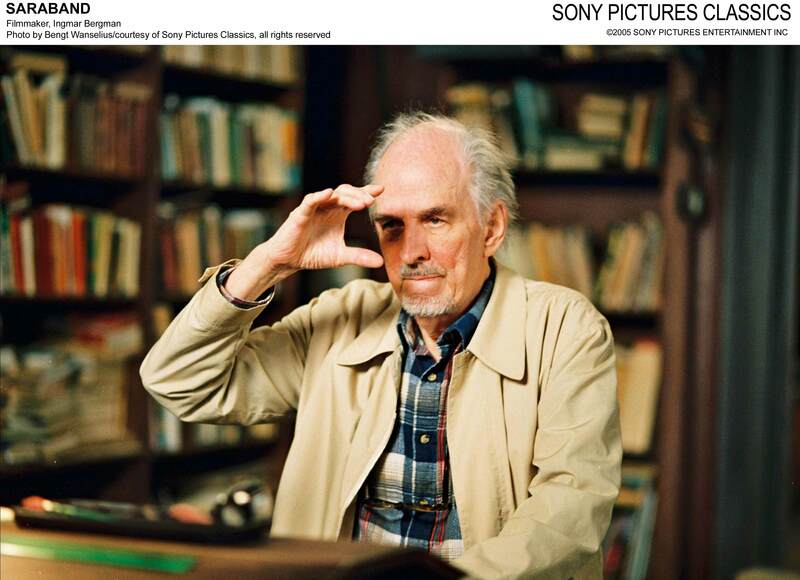 It started with what was going to be another interview book like Bergman on Bergman with interviews conducted by Lasse Bergström, Bergström then deleted his questions and Bergman edited the text. 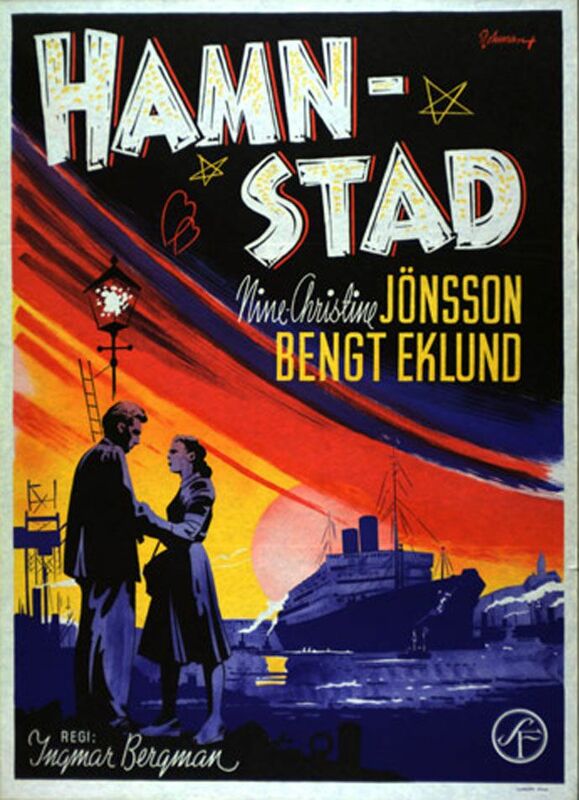 The filmography section, which was crucial in the days before the IMDb, and handy because of the plot synopses they at times contained, was compiled by Bertil Wredlund. This section starts with him in the script department of Svensk Filmindustri then writing scripts and finally directing. It also interestingly discusses his stint as script supervisor (“script girl” as it was frequently called back then), for the first screenplay he wrote. He humorously admits to not being good at it, it’s an important job, and parenthetically, I wasn’t very good at it myself. In this section the discussion at times runs together because of the religious themes that connect them all. While the title of this section is a bit uninspired it does talk of actors in general segues to the discussion on Autumn Sonata, which I will dedicate excruciating detail to in an upcoming blogathon. Herein he discusses his struggles with comedy in general and his repeated ventures (yes, there were a few) into the genre. 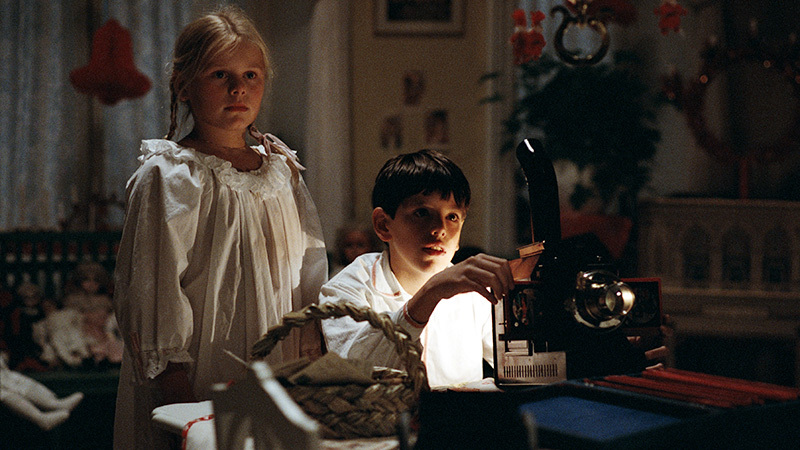 In addition to that there is discussion on how Fanny and Alexander in many ways was born of the influence of both E.T.A. Hoffman and Dickens. Note: If you want to go into the book knowing as little as possible bypass this section. Sure there are wide-ranging insights into his process, life, development, and art in general, but for me (as I’m sure is the case with many of us) the greatest thing is the little insights. Things I never knew that aren’t earth-shattering but intriguing, or opinions he has on his work that you don’t share, and those you do. 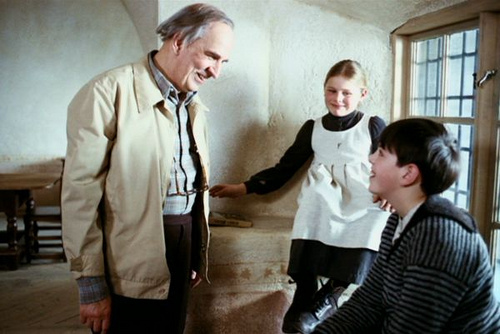 Some examples of this are: Fanny and Alexander started with different names in his notes, and that he likes the TV version better (as do I). 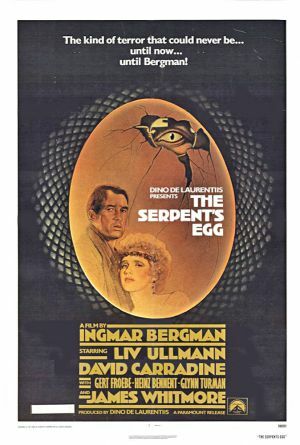 He detested The Devil’s Eye, and working on it; I didn’t like it either and that kind of thing has a tendency to show (like with John Carpenter and Christine). He claims he shouldn’t have included the interviews in the The Passion of Anna. It is curious that the mention of the The Magic Flute being produced in the Swedish language, and not German, is non-existent. Though reading the whole book, and the section between the lines there are some inferences one can make about this choice. Also included are insights into his extensive theatre work, which is fascinating as it helps us understand his day-to-day schedule for many years and also see diferences era and country create. 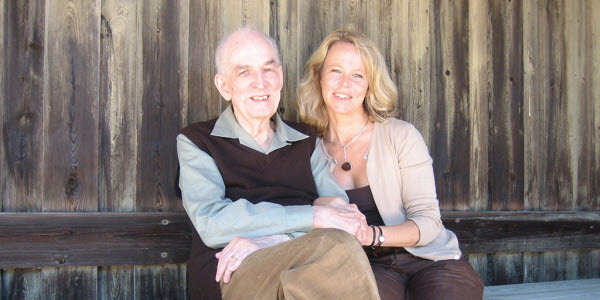 There’s also a mind-blowing explanation of a brief stint in TV commercials (news to me), discussion of his lifelong relationships with the opera, and his work therein; radio (also news to me), and influences including Swedish novelist Hjalmar Bergman (no relation). As with any good work on film it made me want to watch and see more. If interested in reading this book I would advise seeking out a copy in print, even if you’re not a purist. The copy I read on Kindle had some spacing issues, typos in inserting diacritical marks, and captions awkwardly separated from photos. Maybe some of the display issues would be less of a concern if I read it on an iPad or laptop but some of the mistakes would still be there. Having just made a number of these corrections myself in my own books (Plug!) I have a heightened sensitivity to such issues. 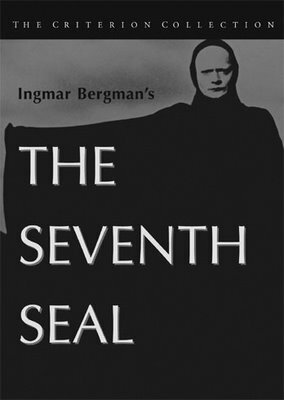 If you are interested in Bergman, or the craft of filmmaking, I would definitely recommend this book. 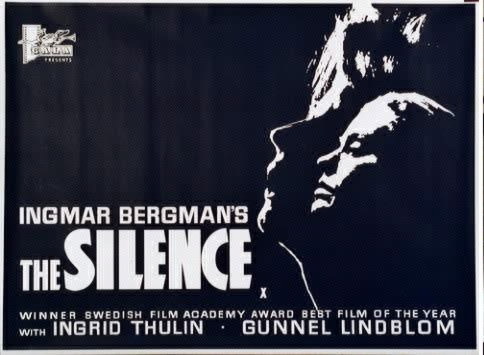 However, I recommend it with a grain of salt, if you’ve not seen any of these Bergman movies you will likely have them spoiled. However, keep in mind there are a few I have not seen due to a lack of availability and that made me more interested in it. So, check this out! Perhaps the most interesting thing about Amors Baller, aside from the way that it handles the Swedish/Norwegian dynamic, is that it puts football (soccer) out front as the key to a boy (Kåre Hedebrant, Let the Right One In) winning over his new crush. While the junior tournament plays a major part, it’s a setting that doesn’t take up as much screentime and the results doesn’t factor in as much towards the end as you might expect. It ends up being more about relationships and friendship. It’s a funny, heartfelt and quick-moving film.